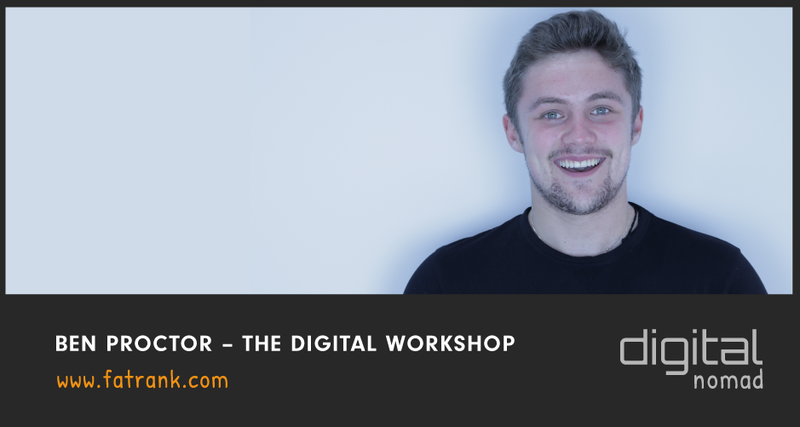 I was given an amazing opportunity to take part in their Digital Workshop scheme and it was a brilliant introduction and elaboration on the digital marketing industry and world! Over the past two days, I have learnt so much ranging from how the digital world is constantly changing to how being an SEO is a great career to enter and how much it can benefit you. Through this, I felt like I started to get a stronger understanding of the industry as a whole and my passion for digital marketing was fuelled even more than before. 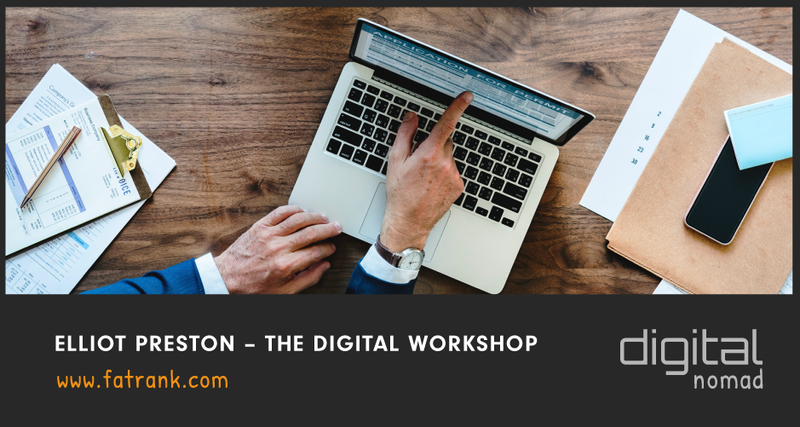 With most other digital marketing based businesses requiring experience and/or a strong understanding of digital marketing before-hand, the Digital Workshop gives you all that knowledge and understanding most businesses look for. The experience is truly a brilliant chance for any aspiring careers in digital marketing and I highly recommend it. WOW – How Big is Digital? Jeez, this workshop has completely changed the way I first looked at the digital landscape. I used to believe that the platform was incredibly linear and offered hardly any variation between businesses, meaning most business just followed the same marketing tactics as each other. In addition, I thought of the platform as being more of a hindrance to a business considering how many businesses have decided to become online, generating more competition on the platform and therefore making it seem less attractive. However, this idea was completely wrong. The digital environment offers so many different ways a business can engage with its target audience and allows for the creation of a wide variety of different content. With a business being street-based, they are very limited to what content they can create to advertise the business with print media being the main “go-to”, whilst an online business can enjoy a wide variety of media ranging from videos to interactive pieces (like small games and such). Through this, the potential an individual can hold on this platform is nearly endless and it gives you so much confidence to be different and create some really well-designed pieces. In addition, even though the platform may hold a lot of different businesses, it also appeals to a lot of different customers. This means a business can have a larger potential customer base meaning the business can be more popular amongst the public regardless of where they are based. I personally think that is one of the amazing things about the digital landscape, how many people it can reach and how far it can reach. Global presences can be easily established through the use of the digital platform meaning most businesses can truly expand and create a strong reputation for a huge amount of people. All of this can be achieved quite easily as well compared to a street business with no online presence trying to accomplish the same thing. It really does open your mind to how much is out there and how many businesses utilise this opportunity and how some businesses fail to recognise the true benefit of the digital platform. A great article which really elaborates on how important it is for a business to keep evolving can be found here which James makes some great points on how instead of complaining about change, we should be ready to adapt to it and use it as an opportunity. 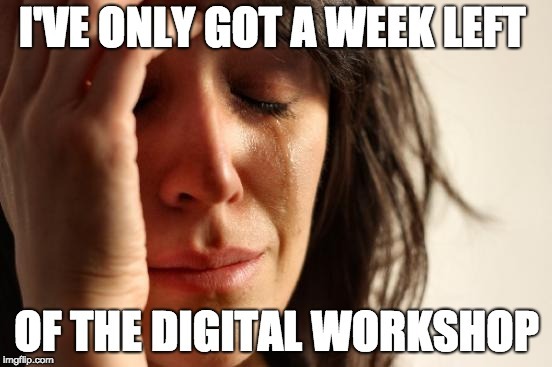 The benefits that are given through the Digital Workshop is huge! Firstly, the power of osmosis. If you don’t know what I mean by this then check out this article which perfectly summarises how much the power of osmosis can benefit you. 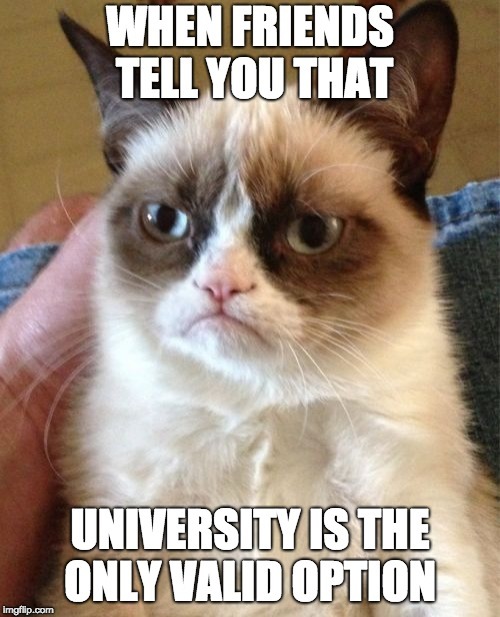 In university, the person is taught about the area through books and talks but they don’t get to directly see how a business may apply the learnings and see how they benefit the business. With the Digital Workshop, I got to see a lot of the teachings being put to use in the offices and saw first hand how it benefited the business. By this happening, I felt a stronger understanding of that topic and therefore felt like I learnt it a lot quicker than reading it through a book and having no clue how the teaching is applied to the workplace. In addition to this point, the experience is incredibly vital. 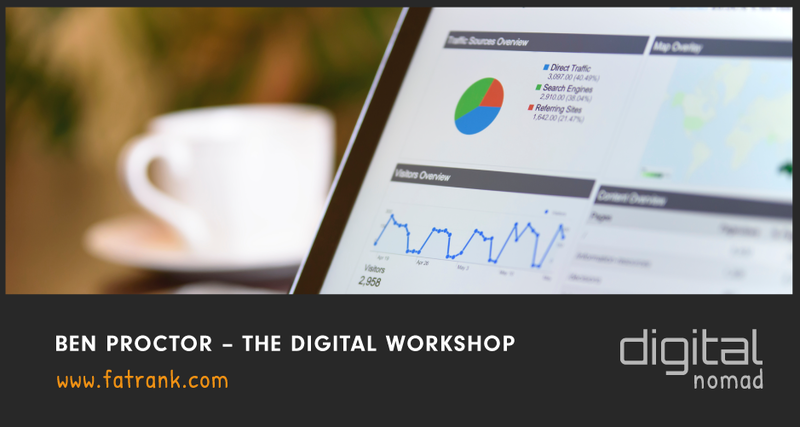 The Digital Workshop allows you to work alongside one of the UK’s leading SEOs and gain a lot of experience from the situation. Not many other SEOs or businesses in the digital marketing industry offer opportunities like this. This vital experience is an amazing benefit as I feel like I have a much stronger understanding of the industry and the career in which I want to pursue, which I am incredibly thankful for. 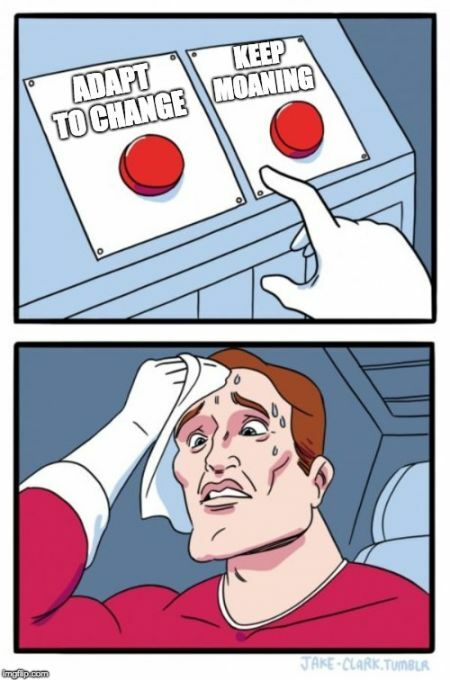 I’ve heard this too many times! Another benefit which the Digital Workshop offered me was the chance to engage with apprentices on a daily basis. By this, I could get a stronger understanding of the career path I wished to pursue and an insight into the business from someone who used to be in my position and has managed to enter the business. With them also being successful apprentices, it gives me the chance to ask them questions if I’m ever stuck, fully knowing that the answers I’m receiving are quality and rest assured, correct. One more benefit I realised I gained through the Digital Workshop was what types of jobs I would be tackling. This idea of variety really engaged me as I feel like the constant change in jobs would keep me fully engaged and allow me to learn more about the area instead of specific points. In the short term, I hope to see myself working for PromoSEO Ltd and being able to be a part of such a great team. The office is full of friendly faces and is a superb working environment for anyone to be a part of. The team have so many useful tools at their disposal that its no wonder why they are one of the leading SEOs in the UK. In addition, with the business growing at such a rapid rate, there would be no better opportunity to enter the digital marketing industry with another company. I feel like I could grow alongside the company and hopefully become a proficient member of the team and be able to achieve some great things with them. In the long term, I hope to be able to run my own video production company in which we can create pieces mainly for businesses to create a professional image for a wide variety of uses. Doing something like this would allow me to use the skills I have learned to make sure that my business thrives and does well. I want to be able to prove to people that the assumption that millennials are “hard to manage” is wrong and that we can achieve things just like any other group of people. There’s a brilliant blog here which talks more about this issue and explores how to achieve true happiness. Not only this, but PromoSEO Ltd want to help young people create their own businesses. With the company having a strong cash flow, they have the resources to help a person create their own business from the ground up and really allow people to achieve their business dreams with ease. Honestly, I really see PromoSEO as a great chance for me to put my foot in the door and really allow myself to work towards my goal. After all, one of the sayings I was told whilst here was “if you work hard for the business, the business will work hard for you” and I can see how true this saying really is! Our boss (James) really believes in this idea of moving towards your dream goal and can be seen through the passion put into this article about making money online and achieving your goals. If you are reading this debating whether or not to take part in the Digital Workshop, go for it! If you really want to achieve something in the digital marketing industry then this option is perfect for you. Not many other businesses offer such an opportunity, so I can’t stress enough how important this is and how you should really take this chance to develop your knowledge and experience within the sector. I will never forget this course and I am so thankful for being given the chance to take part in it! 2 WOW – How Big is Digital?